Ford Platinum Power Stroke!!! This truck is one Awesome Big Rig!! Clean, Clean, Clean!! Brand New 35" Falken Wildpeak A/T 3 tires and leveling kit!! This truck is loaded with impressive options which include....Heated and Cooled Leather, Heated Steering Wheel, Navigation, BackUp Camera, Heated Back Seat, Full Power Mirrors, Sony Audio System, Spray In Liner, All Weather Floor Mats, Dual Power Seats, Trailer Brake, Adjustable Pedals, Bluetooth, Mounted Audio Controls, Custom Tinted Windows, Tonno Cover and so much more!! 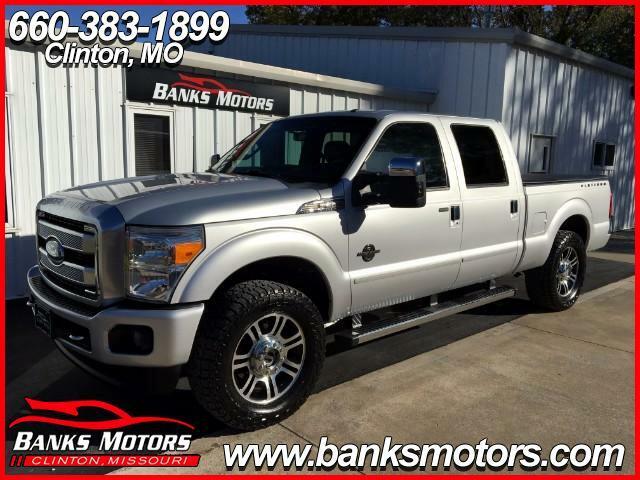 This truck is Immaculate inside and out and won't last long!